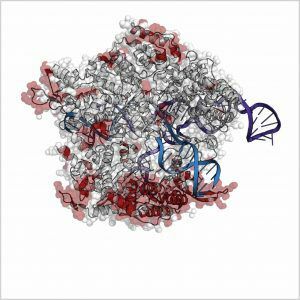 We are using comprehensive protein engineering to develop advanced CRISPR genome-editing tools. 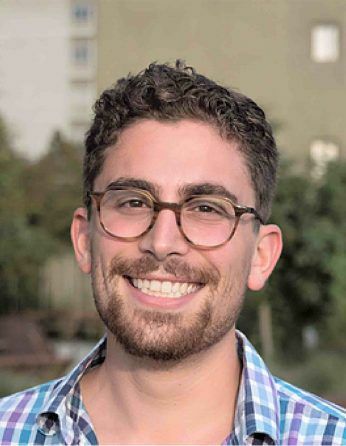 Ben Oakes is an Entrepreneurial Fellow at the Innovative Genomics Institute. The Oakes lab utilizes comprehensive protein engineering to develop CRISPR gene editing tools for research, synthetic biology, and medicine. We are developing unique genome editing molecules to enable predictable, efficient, tissue- and site-specific editing outcomes. We are using both topological and mutagenesis approaches to protein engineering to evolve CRISPR variants with unique properties, such as the ability to sense cellular or environmental signals or different architectures that may allow for greater use of viral vectors or to manipulate the outcomes of editing events. We will deliver our advanced CRISPR-Cas molecules virally or as RNPs. These tools will provide researchers and medical professionals with efficient methods to alter the genome in a precise manner, affording new avenues to treat human disease. Protein engineering screen for highly functionalized Cas9 molecules. 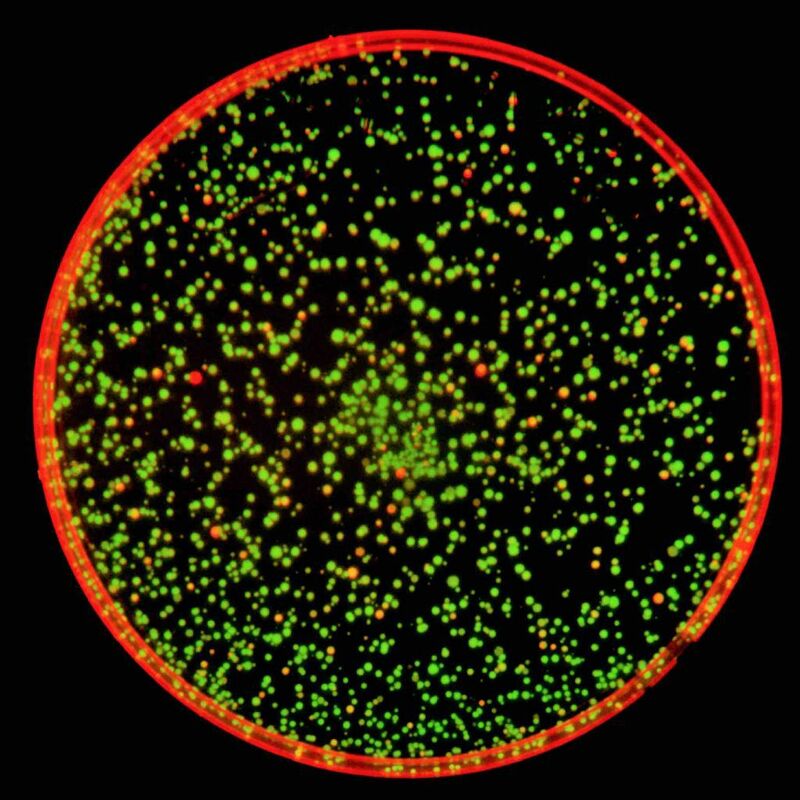 Green fluorescence indicates functional Cas9 proteins, while red indicates nonfunctional activity. Crystal structure of Cas9 RNP highlighting areas amenable to protein engineering.